It’s the eve of Halloween in Grove Hill, Ohio. A traveling carnival is in town for the weekend and local outcast, Jacob Atkins, has been hired as one of the freaks in the event’s main attraction, “Dr.Death’s Side Show Spook House Spectacular”. Meanwhile, a group of local bullies are planning their annual public hazing of Jacob, but this year things go too far. You want more? 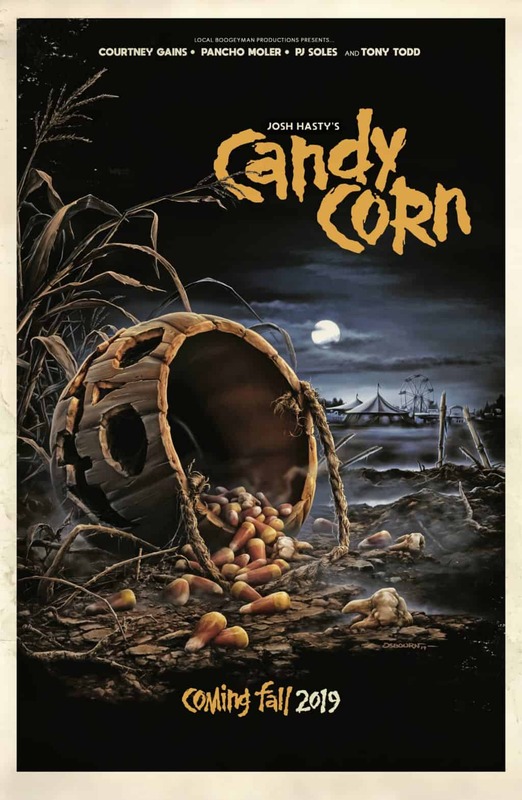 Ok, ok. How about if I leave you with the very first teaser trailer for Candy Corn? And I have to say, the look of this really impressed me. Kudos to Josh Hasty. And kudos to you guys, because I know you’re going to support it when it comes out later this year! Who actually likes candy corn candy btw? Quick…..make a wish! Granted. Ok, I’m assuming your wish was to have a post about my excitement for the movie The Final Wish. To be honest, I wasn’t even expecting to write this post. This film flew waaaaaay under my radar, and it wasn’t until I saw that it would be having a ‘one night only‘ screening on January 24th in select theaters that I started to really pay attention to it. Am I expecting the greatest horror movie of all time with The Final Wish? No. But from the looks of the trailer and from early reviews, this looks fun and could be a nice little surprise. If you’re down, go look up your local theater and see if The Final Wish is playing there on January 24th. And stay after the movie for a special pre-taped Q&A with the cast and crew! Let’s Have Another Staring Contest……. Candyman. Candyman. Candyman. Candyman. Candyman wins the staring contest! Going to a psychiatrist can be such a drag, man. Especially if you say “Candyman” five times and the hook-handed legend himself appears to cause some major bloody damage while grunting loudly. Welcome to Sunday Bloody Sunday where I’m showcasing one of my favorite death scenes from 1992’s, Candyman. Unintentional comedy in a horror movie is always a bonus. Some might look at it in a negative way, because the comedy might take you out of the moment. But I for one, am all for it! 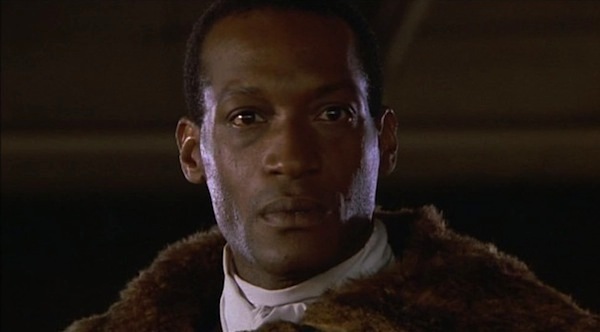 Case in point: 1992’s, Candyman. To be honest, Candyman is one of the only movies that truly gave me the creeps. I love the villain (Tony Todd nails it) and LOVE the whole backstory involved with him. The hook. The bees. The gruff, deep voice. It freaked me out too because I used to play the ‘Bloody Mary’ game when I was little, where you had to say her name multiple times while looking in a mirror to see if she would appear. So, obviously the similarities are there with Candyman. Wow. Put a steak on that eye, Helen. That’s quite a Fred Flintstone influenced shiner you have there. But anyway, I can’t help but laugh every time I see this scene. And it provides some ever so slight balance to all of the horrifying things that have happened up until this moment in the movie. Gotta love the contrast of voices between the first and second guy too. In fact, I think I know why I love this scene so much now. It reminds me of Eddie Murphy’s classic ‘banana in the tailpipe’ line from Beverly Hills Cop! Are You Aware That ‘Readful Things’ Are Making The Best Horror-Themed Figures Right Now? John 5 And The Creatures Unleash ‘I Am John 5’ Music Video……With Butch Patrick! The Possibilities Are Endless With This Michael Myers ‘Halloween’ Posable Prop!